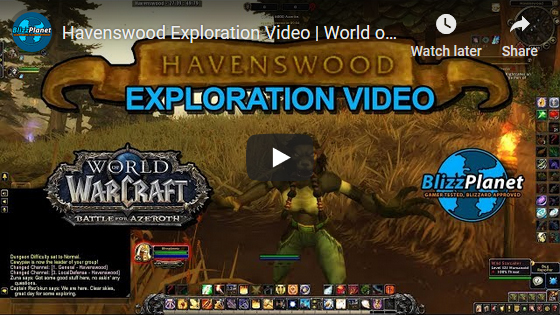 In Island Expeditions, Havenswood is a Gilnean settlement where players will find worgen and various Pandaria and local creatures: Yak, and pandaria elementals (sometimes). 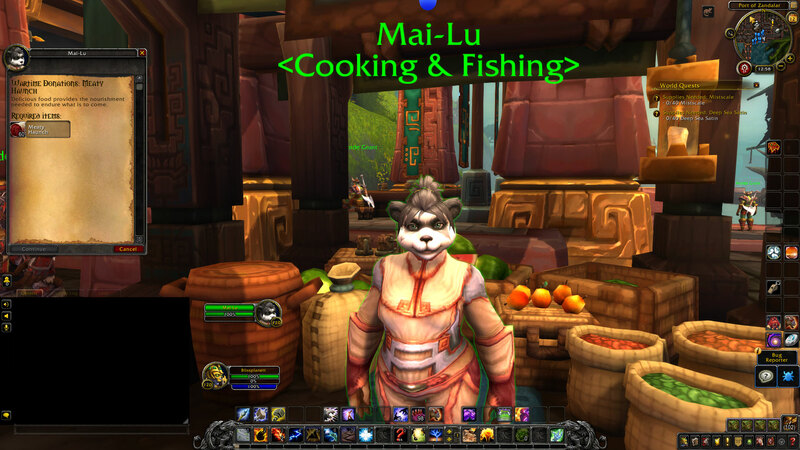 For that matter, I assume Havenswood is located near Pandaria. 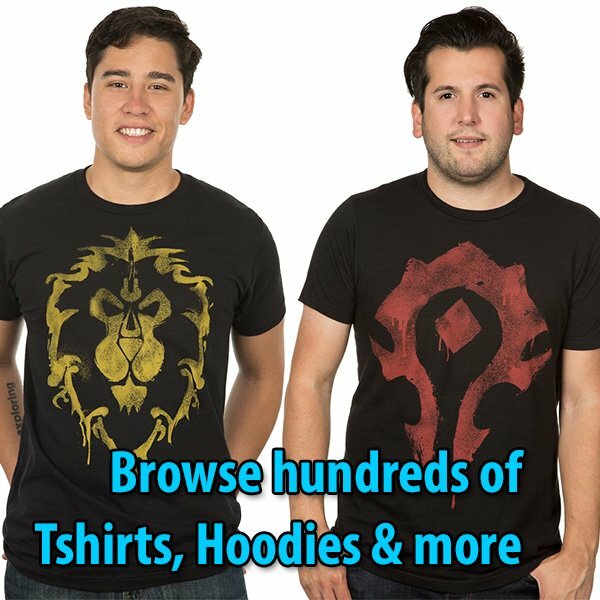 Battle for Azeroth is officially live! 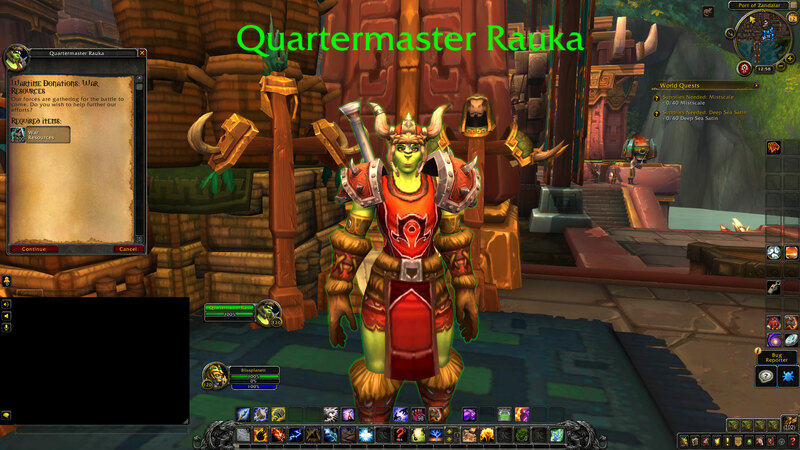 While we explore Kul Tiras and Zandalar, further the war campaign, and recruit new allied races, the question of what fate has in store for the Horde’s Warchief hangs in the air. 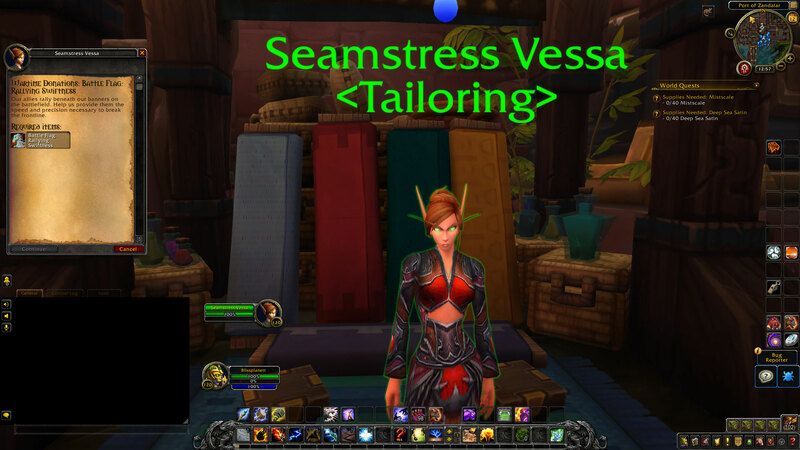 After how the Burning of Teldrassil turned out, the discussion over Sylvanas and what’s become of the Horde under her rule has been, to pardon the pun, heated. I won’t dwell on the controversy much because the discussion quickly became vitriolic towards Blizzard’s writers (especially Christie Golden) in a way that was far too similar to the worst portions of the Star Wars fandom. Instead let’s look at the story itself and where I think it might be taking Sylvanas. 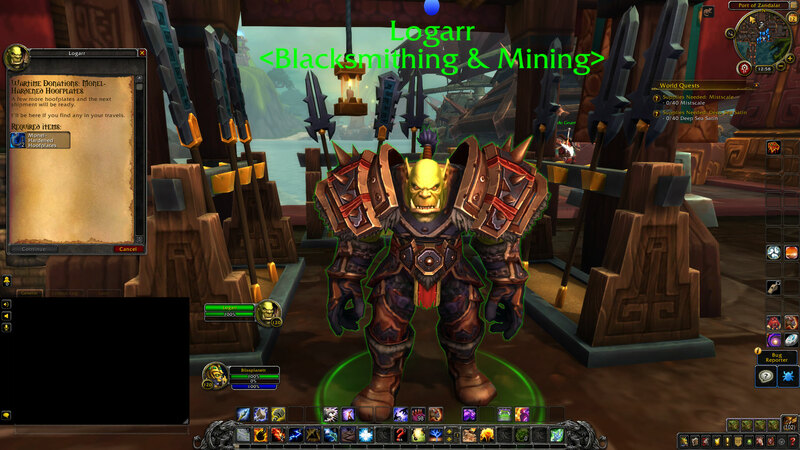 The latest Battle for Azeroth beta build has added the login screen showing the entrance of Ruins of Lordaeron, and the Horde/Alliance helmets and weapons. The login music has been added. 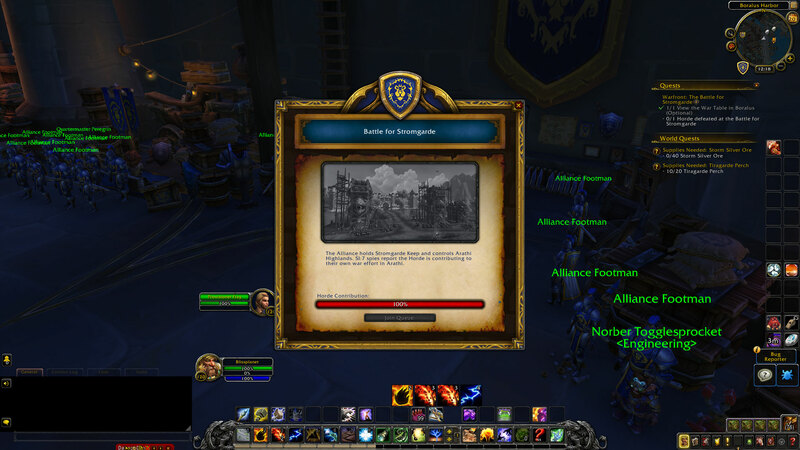 When the Horde has contributed 100% War Resources for Battle for Stromgarde, the Alliance can see that at the queue table, and you aren’t able to queue while the zone is controlled by the Horde. 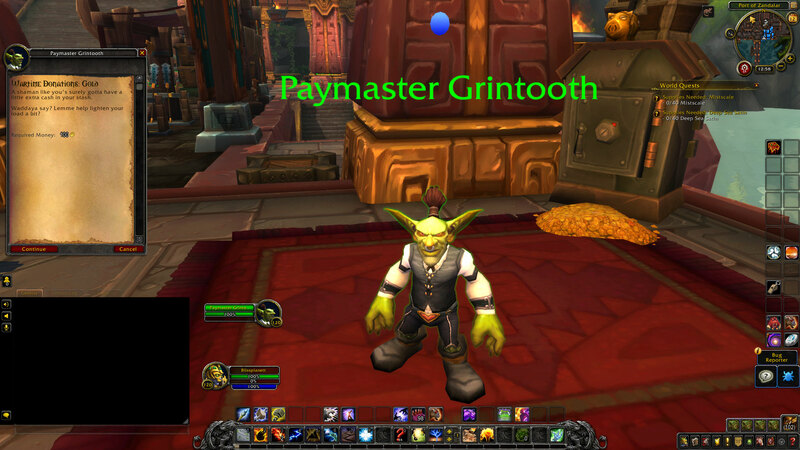 The Battle for Azeroth credits are now available. The video lasts 45 minutes. The Battle for Azeroth Login screen music is now available in beta build 26871. This video is 13:07. In this article, I’ll discuss what to do once you start the quest: The Great Sea Scrolls. 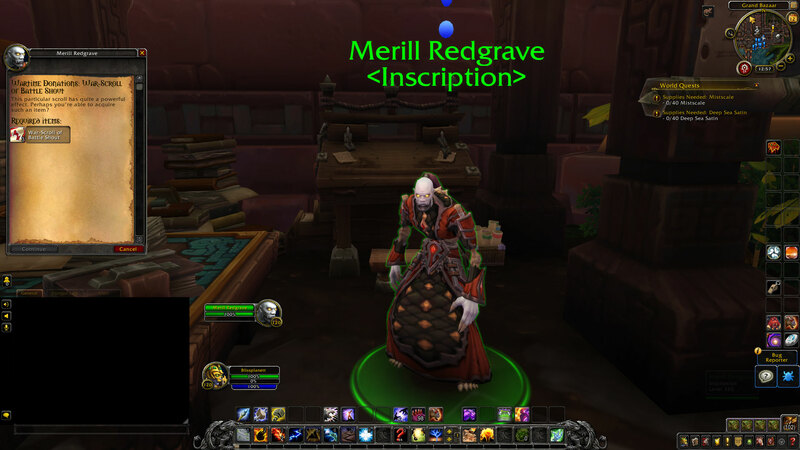 I am not sure if there are more in Kul Tiras and Zandalar, but I will share an intriguing Treasure Chest that could be catalogued as a Scavenger Hunt. 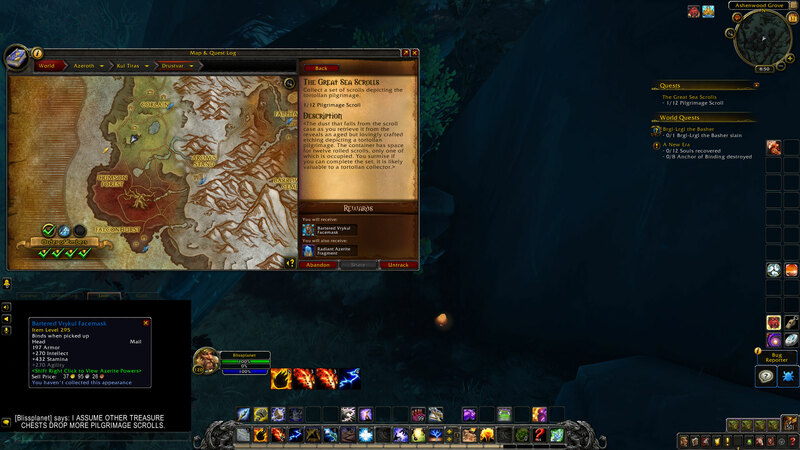 As I made my way south of Corlain to complete the World Quest titled “Hunting for Truffle Hunters,” I looked at my mini-map and noticed a Treasure Chest that wasn’t marked in my Photoshop file for the Drustvar Treasure Chests. 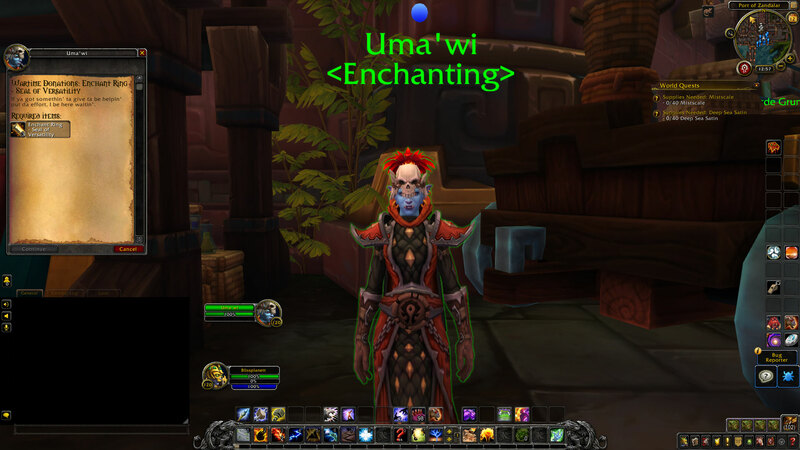 Bwonsamdi is the spirit healer in Zandalar. 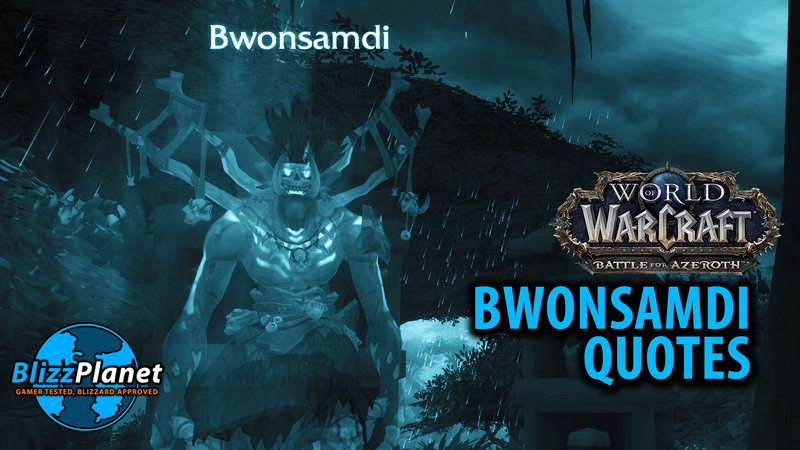 After a player dies, Bwonsamdi has a few funny quotes reacting at seeing the player as a Ghost at the graveyard. The cool stuff is that the quotes have voice over, and you can now get the context of his comments, the innuendo, the sarcasm…. and the evil mustache-twirl mocking. 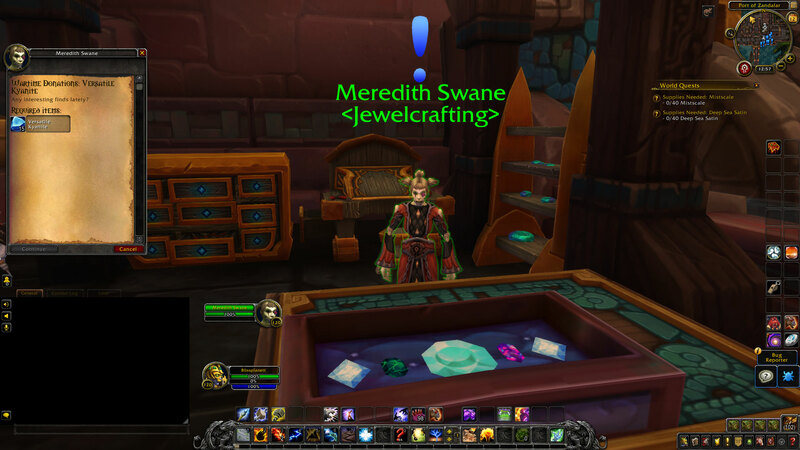 Shortly after arriving to Kul Tiras or Zandalar, players will see Magni Bronzebeard to acquire the Heart of Azeroth necklace. 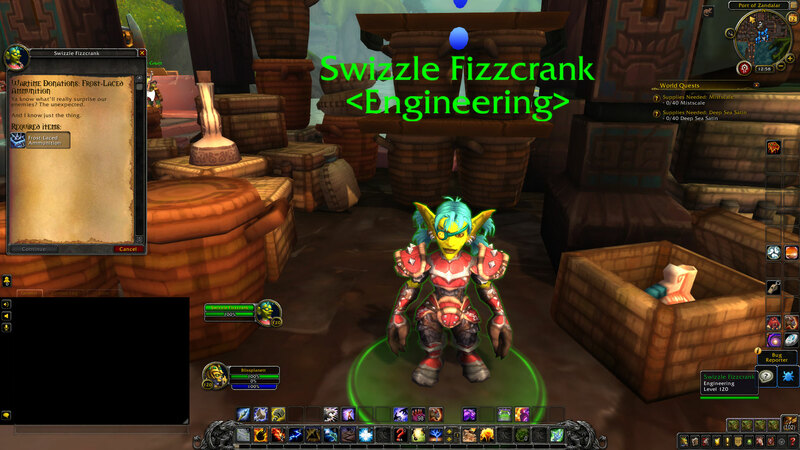 Later at level 120, after you have completed the three Footholds of the War Campaign and unlock World Quests, Magni provides a quest to unlock Azerite World Quests. 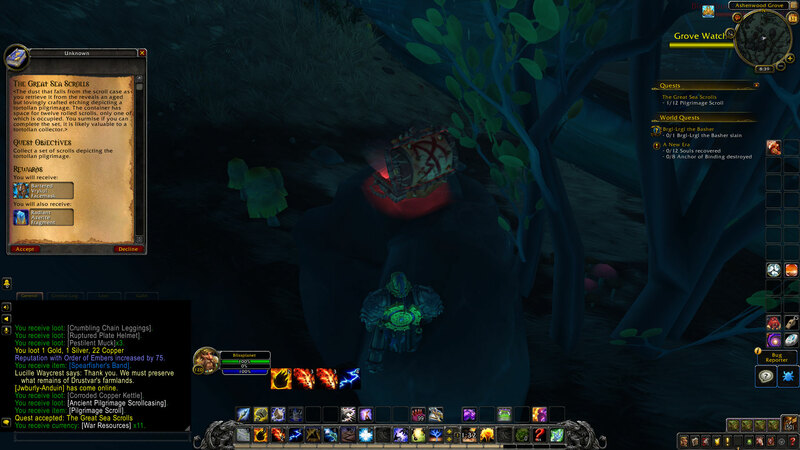 Those provide extra Azerite Power to help level up the Heart of Azeroth’s level. Blizzard Entertainment deployed the Battle for Azeroth Beta build 26707 and 26715 within hours apart. 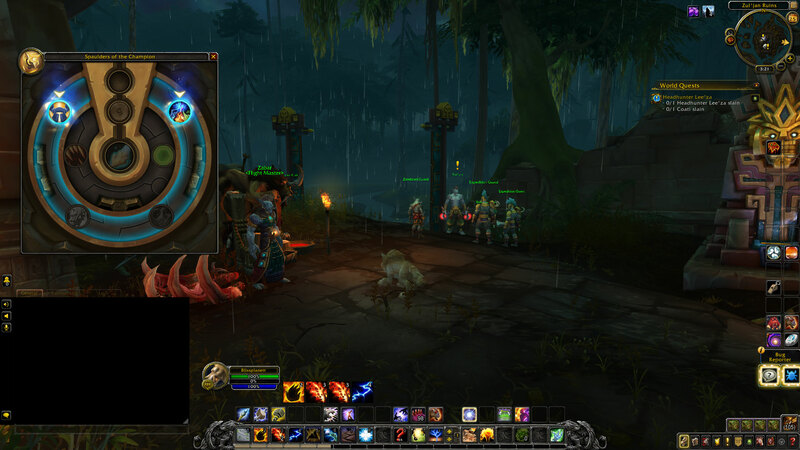 The former introduced the new Heart of Azeroth UI with proper animations. Up until now, testers had been using a temporary UI. 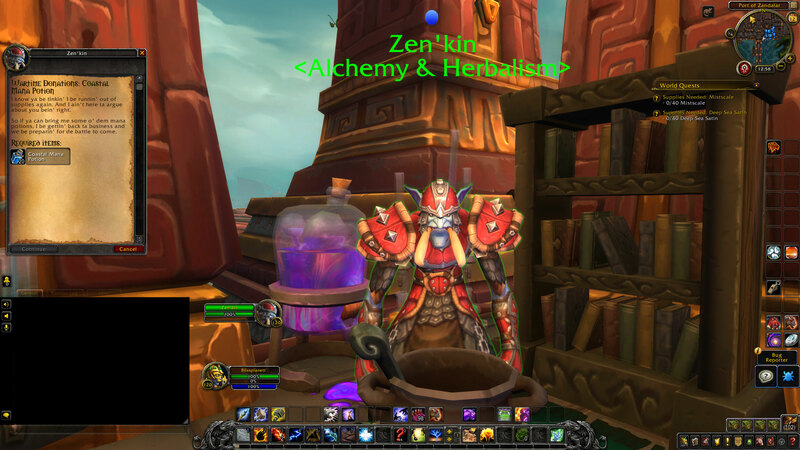 Now the Heart of Azeroth UI looks like what we saw back on November. Check out our BlizzCon 2017 transcript with images. 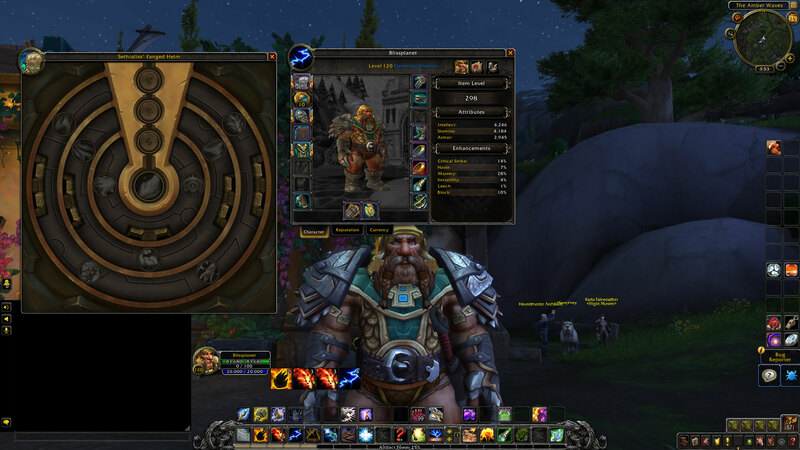 Below you can watch videos of how the Heart of Azeroth UI with 3-Rings and 4-Rings look like, their traits, and at what Azerite level the traits unlock at.